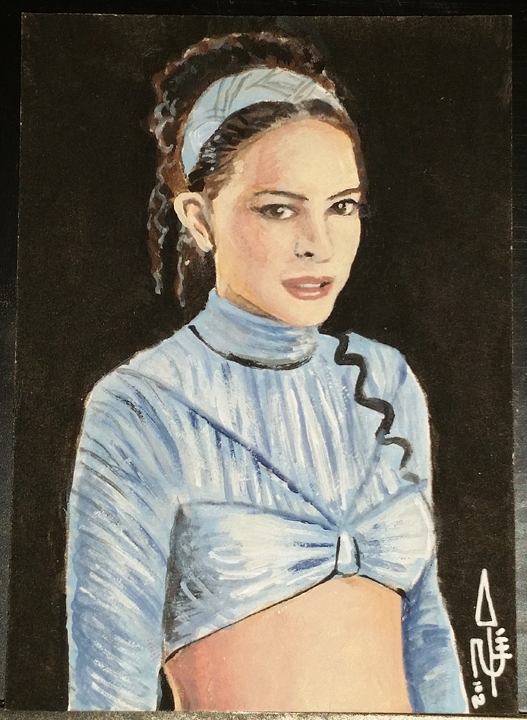 I commissioned Tom Carlton to create this sketch card of Senator Padmé Amidala in the blue outfit that she wore on Tatooine. However, this was not the card that I initially purchased. 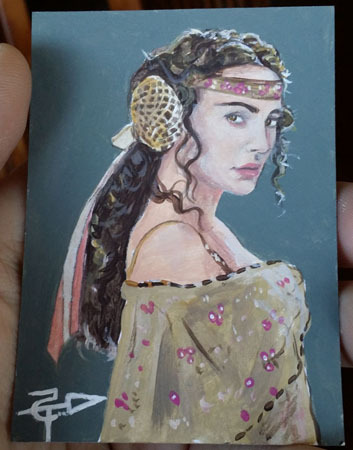 I had seen a sketch card of Padmé Amidala in the picnic dress on Storenvy (see below). I contacted Tom Carlton Art around the beginning of July to find out if the card was an original or a print. After his prompt response that it was an original, it took me nearly three weeks to get around to ordering it. 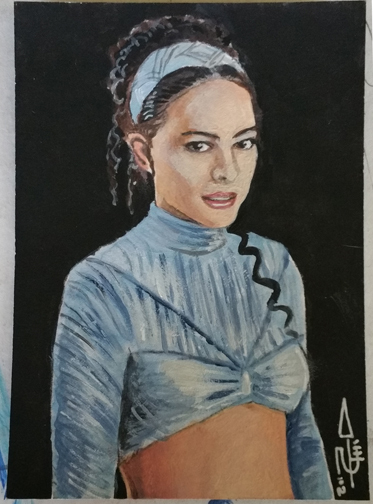 As it turns out, Tom had sold the card that I had bought at Space City comic con that weekend. Rather than a refund, Tom offered to do a sketch of my choosing, so I choose the Tatooine outfit.